If you love makeup but struggle to put it on, there’s nothing worse than trying (and utterly failing) to put together a **flawless look. Luckily for makeup hopefuls everywhere, beauty gurus have us covered in showing us mere mortals how to put together makeup looks. But making small eyes look bigger, out of the popular makeup hacks out there, is one constantly being sought out, which makes sense since our eyes are arguably the most important part of our face. Use neutral eyeshadow colors on the eyelid to create the base. Use a highlighter eyeliner pencil to line the inside corners of your eyes and on the outside corner of your lower waterline. YouTuber Karolina Bula even compares the big eyes look to common makeup mistakes by doing big eye hacks one one side of her face, while showing off mistakes on the other. **Lining the lower waterline in black eye liner is generally seen as a common mistake when going to for big eyed look. Luckily, since this is a HUGE trend right now, chances are you’re already doing this. By grooming and filling in your brows, you’re actually helping make your eyes look bigger naturally. Using a highlighter or highlighting eyeshadow under your eyebrow line will do wonders. YouTuber TheMakeupChair puts together a beautifully neutral big eye look, emphasizing the importance of the highlighter. Whether you’re opting for a dramatic or neutral look, put focus the eyeliner on the top of the lid. Lining the lower waterline in black eye liner is generally seen as making eyes look smaller. Instead, if going for the smoky look, gently apply liner or eyeshadow with a brush along the lower lash line. 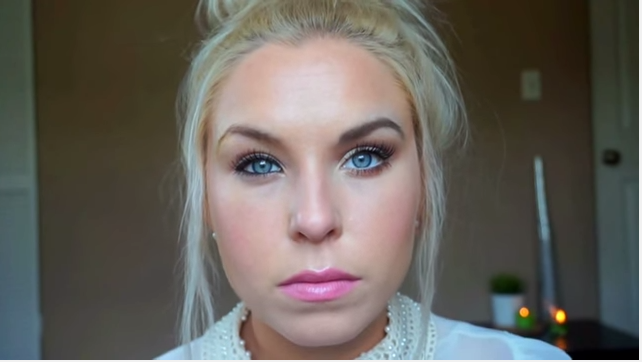 YouTuber Laura Beth demonstrates a dramatic big eye look. Follow along her tutorial and watch her use her brows and highlighter to give the look that all important touch. Applying makeup can be so hard. Following a few simple hacks brought to you by experts can make the application process easily and maybe even fun! Try these hacks for yourself and see which work best for you!